Dehorning or disbudding is a practice which has long been carried out for a number of reasons; cattle without horns pose less of a risk to handlers and tend to show less aggressive behaviours. Animal welfare is also a consideration, cows with horns can cause significant damage to other animals in the herd, including damage to udders, eyes and flanks. Carcases originating from herds of horned cattle face almost twice the level of wastage due to muscle bruising from horn damage than carcases from herds of cattle without horns. Trough space can also be minimised in groups of cattle without horns, and animals with horns often face financial penalties when sold through livestock markets or to private buyers. At two-months-old horn buds become attached to the skull, prior to this they are free-floating and removal is termed disbudding. There are various methods for disbudding, all with their own benefits and limitations. It is recommended disbudding is carried out as early as possible, as soon as buds can be felt. Calves are also easier and safer to handle at a younger age and buds are smaller and easier to remove, with less chance of regrowth. Dehorning is the term used for removing horns once they have attached to the skull in cattle older than two months, this can be much more distressing to the animal than disbudding and should always be carried out by a vet. Disbudding calves using a hot-iron is the most common practice and advised as the preferred method in the UK. The aim is to destroy the horn-producing tissue around the bud of the horn. This is done by cauterising with heat. 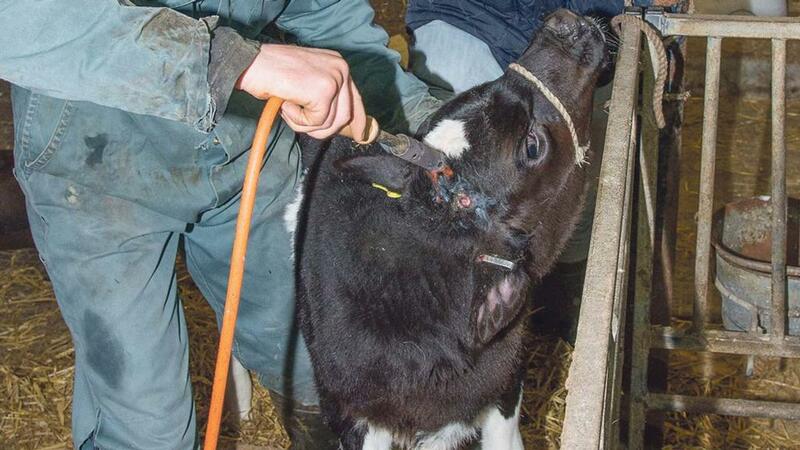 In the UK all calves being disbudded with a hot iron must be administered a local anaesthetic on both sides of the head, blocking the corneal branch of the lachrymal nerve. Mr Downes advises the local anaesthetic should be routinely used in-conjunction with a non-steroidal anti-inflammatory drug (NSAID). When using a hot iron, Mr Downes says: “The gold-standard in my opinion is to sedate calves as well as using a local anaesthetic and a NSAID. 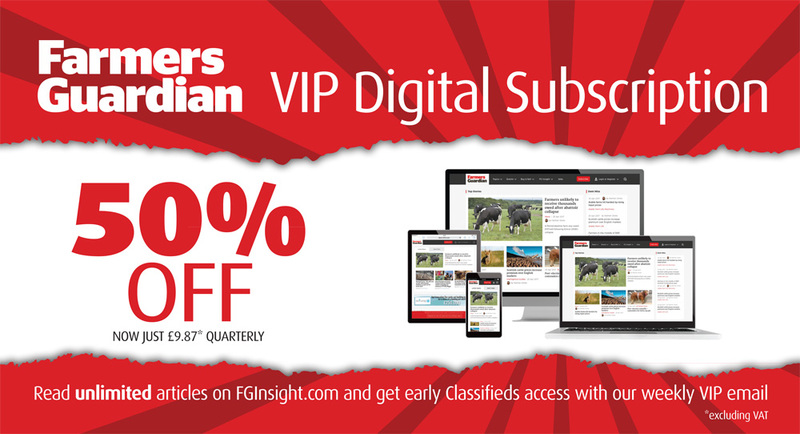 We are seeing more farmers use this method, especially large herds or those which block calve. “Obviously there is extra cost involved with sedation as it has to be carried out by a vet, however, it is easier to justify when disbudding a large number of calves at once and it is less stressful for both operators and calves. “Sedation removes what I believe is the largest stressor during disbudding, handling. Calves are often caught and handled at least twice during the procedure, however, when sedating, we usually stand in the pen and as calves approach us we give them an intra-muscular injection, keeping stress to a minimum. Mr Downes advises the use of a small gas burner, and emphasises the importance of having it hot enough. He explains while heat necrosis of the brain is not common, it can happen when disbudding and is more likely to happen as a result of an iron which is not up to temperature, as it has to be held onto the horn bud for a longer duration. “A very hot iron should be used, held around the horn bud for three-four seconds and the horn bud can then be flicked out. This should be followed immediately by oxytetracyclin or another antibiotic spray, which helps to quickly cool the area,” says Mr Downes. If sedation is not an option, one of the most important things to consider is restraint. Calves must be comfortably and firmly restrained to avoid causing stress. The smaller the calf, the easier it is to restrain, backing the calf into a corner and bending its neck around to allow clear access to the horn, can easily be carried out by one person. Following disbudding it is important to keep the area clean and dry. Avoid turning calves out into rain and, if flies are a problem, it may be necessary to use a fly repellent. Caustic paste disbudding is a common method used in the USA, however, rules and regulations are different in the UK, making it more restrictive to users. In the UK it is illegal to use caustic paste to disbud any animal greater than one week of age, however, anaesthesia is not required at this age. A combination of caustic substances work to cauterise the tissue and prevent horn growth. “Paste can work well, but should be applied with the utmost care and precision, the paste can cause significant damage to the calf or handler if it is applied in an indiscriminate way,” says Mr Downes. Calves must also be kept away from all other animals for six hours, including their mother, which can make handling difficult, especially in a suckled-calf situation. A protective barrier of petroleum jelly must be applied to avoid damage to surrounding skin. Calves must not be exposed to rain for at least six hours after application as this can result in the paste running down the calf’s face causing skin burns and even blindness. Using polled genetics is a way to ensure dehorning or disbudding is not required. The horned gene is recessive, meaning an animal must have two copies of the gene to produce horns. However, carrying just one polled allele will cause the animal to be polled. A homozygous (two polled genes) polled bull crossed with horned cows will produce 100 per cent polled progeny, but half of them will still carry a horned gene, meaning that if they are then bred to a horned bull, the horned gene may reappear. However, be careful when using or purchasing a heterozygous (one polled gene, one horned gene) bull, as when used on horned cows, 50 per cent of the resulting progeny will still be horned. Breeding for polled genetics has not historically been at the forefront of breeding decisions with many breeds, therefore quite often the best genetics do not correspond with polled genes, but with more of a focus on animal welfare, more attention is being paid to this trait.